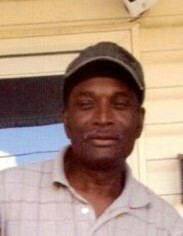 Willie Rogers Jr. was born on August 4, 1947 to the late Mr. Willie Rogers Sr. and Mrs. Beatrice Rogers. He lived a full life in Warrenton, Ga. He was retired from Reeve’s Construction. On Sunday, September 30, 2018 our loved one, Willie Rogers Jr. answered his call to be with the Lord. He leaves to cherish his three loving kids, Kathy Ivey (Wade) Stacy Ivey (Empress) Charlotte Ivey (Rodney). Willie was loved by his family and his grandchildren. He loved being around his friends, hanging out at Wallace. If you ever had the opportunity to meet Willie, you would never forget him. His memories shall be cherished by his grandchildren, Shandrell Collins, Lashandria Reynolds, Gary Reynolds, Lil’Vasco Winfrey, Eric Reynolds, Serita Ivey, Gary Reynolds I, Island Moss, India Ivey, Chloe Goodwin four brothers, Clinton Rogers (Alberta) Warrenton, Georgia, Linton Rogers, Warrenton, Georgia, Henry King, Warrenton, Georgia, Joe Jackson, Thomson, Georgia, four sisters, Vera Jones, Camak, Georgia, Elvelyn Stevens, Atlanta, Georgia, Mammie Davie, Philadephia Georgia, Lassie Reese, Augusta, Georgia, his loving girlfriend, Gloria Hammond of Grovetown, Georgia, and a host of nieces, nephews, other relatives and friends who cherished and miss him dearly.